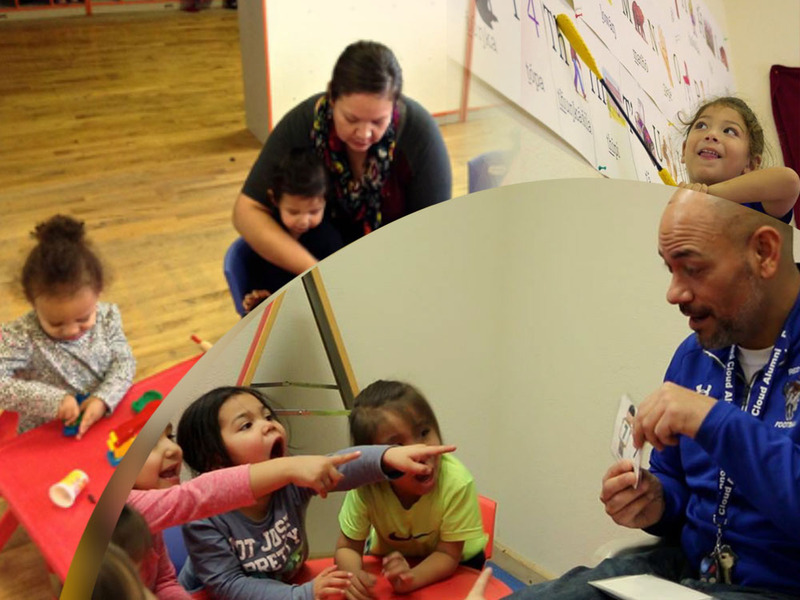 “At the moment, there is no Lakota language immersion curriculum in existence, and we will need such a body of material for when our daycare children reach school age. We are currently working to gather various age-appropriate curriculum resources and vetting them to see which would be the most usable, as well as the most translatable. Ultimately, we intend to have a full, subject-based elementary school curriculum, all in Lakota. This will be the first of its kind, and it will be available to any other local immersion programs that start up in the future. Lakota Immersion Childcare (Iyápi Glukínipi) is the first (and so far only) full‐immersion early childhood daycare in Lakota Country. The Lakota language is critically endangered, with fewer than 10% fluency among tribal members on the Pine Ridge Reservation, and no formal opportunities for pre-verbal children to learn Lakota as a first language. Their mission is to teach children on the Pine Ridge Reservation Lakota as a first language, in a nurturing and enriched childcare setting, as a basis for continued fluency throughout their lives, to be full participants in the revitalization of their heritage language. They also strive to maintain and foster a Lakota thought process, as it is interwoven with the language. In Lakota philosophy, fluency in the language means fluency in the circle of life.